Here are a couple of photos from the first set of pictograph panels we visited which are located high above the road on private property. 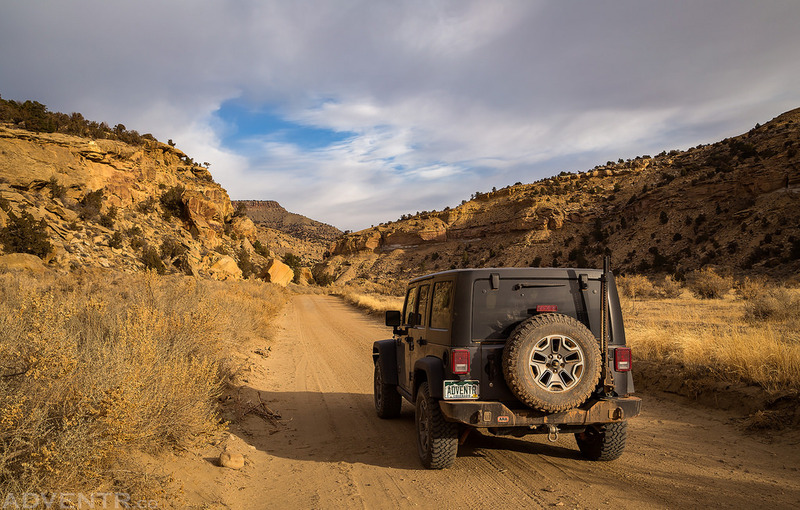 Driving into East Canyon in search of rock art in the Book Cliffs. A nice petroglyph panel on a large boulder. 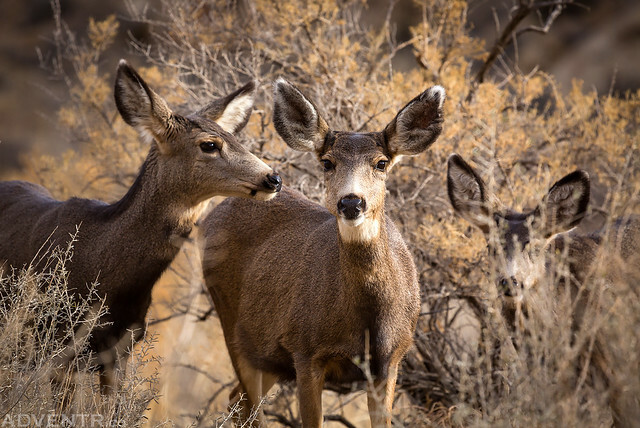 There were a few deer walking around in East Canyon as we drove by, so I stopped for a couple of pictures. One of my favorite panels in the area that features Ute petroglyphs over older Barrier Canyon Style pictographs. A large yellow pictograph of a rider on a horse. Driving along Westwater Creek as the sun came out again. Another of my favorite pictographs in the area of a horned shield. This seems to be a common style found in this part of the Book Cliffs. Another nice panel of pictographs that I’ve seen called a ‘birthing scene’ before. While searching for historic inscriptions I came across this carving from 1922. There are a lot of petroglyphs and pictographs depicting horseback riders in this canyon which makes sense since it was part of the Old Trappers Trail between the Grand Valley and Uinta Basin. Among a number of other inscriptions, we also spotted this deeply carved W.J.S. 1896. Another horseback rider petroglyph, this time with dots underneath. 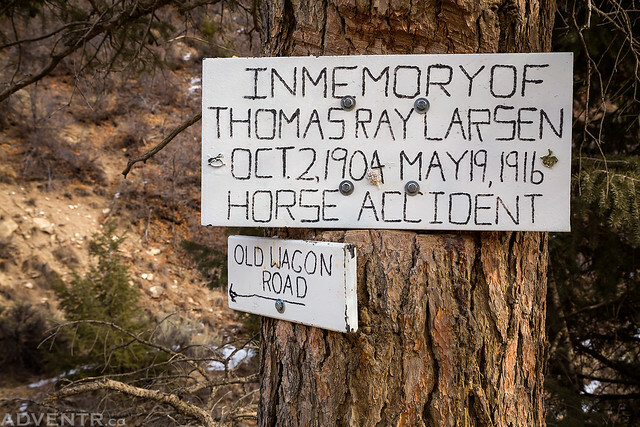 Shortly before exiting Hay Canyon onto the Book Cliffs Ridge Road we passed this sign along the road about a life lost in a Horse Accident on the old wagon road through the canyon. I did a little searching when I got home for more information about this incident, but didn’t find anything. If you know anything else, please let me know in the comments. After reaching the top of the ridge we followed the road east and took a short detour to explore part of South Canyon. Then we descended into San Arroyo Canyon and followed the road along Bitter Creek out of the Book Cliffs where we met up with the old highway near Mack, Colorado to complete the loop. It was a nice easy day not far from home. Would love to know more about Thomas Ray Larson’s horse accident now too. Did you ever find out any more information? I did some searching online, but never did find out any other info about it. Really enjoy your site. I just read about the horse accident at the top of Hay Canyon. There is a local author, Kathy Hurt, with a book called ‘Way Points Along the Book Mountains’. page 54 to 56. 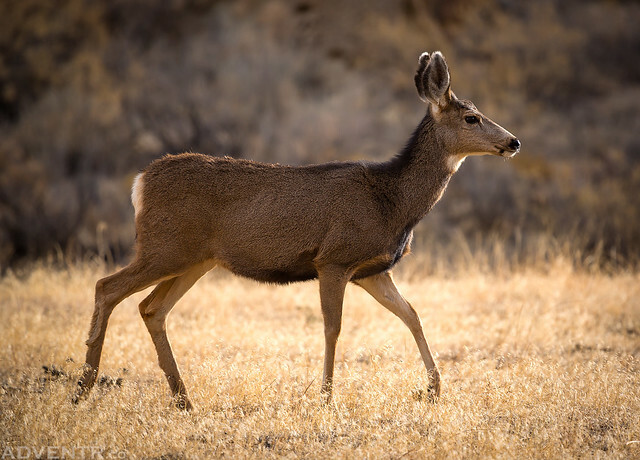 Tells of the family moving to a new Ranch on Meadow Creek, Ray, one of the children was 12.years old, and during the trip said some odd things that seemed to indicate a premonition. After the accident, the family raced a thunderstorm and flash flood down to the ranch at the intersection of Hay, Middle, and East Canyon (Standiferd place at he time). I have been to the top of the canyon many times and do not recall this sign. Will look closer next time, as well as look for the Julien inscription. Thanks for the info Danny! Funny thing is I have that book sitting on my shelf, but I’m behind on reading and haven’t got to it yet. I will check it out now!